Alyssa is originally from Austin, but spent many years living in New York. After meeting her husband, she found her way back to Texas and hasn't looked back. By day, Alyssa works hard to help her community at the Texas Health & Human Services Commission, but by night (and weekends) she's an inspiring teacher sharing her passion for yoga through fun, flowy sequencing. 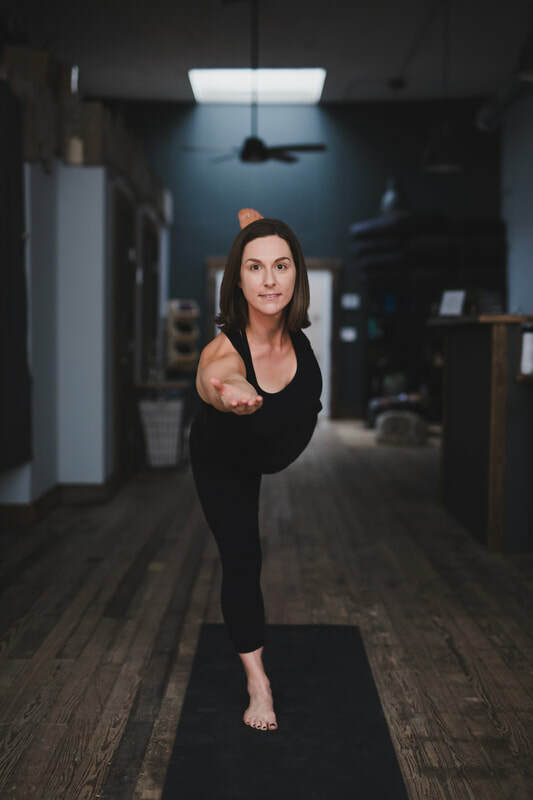 Alyssa began exploring yoga initially as a way to strengthen her core and alleviate back pain; she immediately fell in love and soon found the benefits of her personal practice has transcended from physical practice to much more! Through many deeply challenging moments that life has thrown at Alyssa, yoga has helped her to feel strong, balanced, and confident. Alyssa is not only a strong and enthusiastic yogi, but she also loves seeking out fun, new challenges in her personal life. When not in an arm balance or inversion, Alyssa has been known to take flight in other ways, like skydiving! This also gives some insight to Alyssa's Warrior Spirit; She believes in taking chances, trying something new. When you ask Alyssa about bravery and strength, she will tell you that its about confidence and persistence... and facing failure head on.